Armand is the founder and a Managing Director of Capital Restoration LLC. Capital Restoration is an award winning corporate renewal firm which provides strategic crisis management, corporate restructuring, earnings validation and forensic services for companies in transition. Armand is the author of “Failure of the CEO to change from Star to Coach Can Impair Performance,” Corporate Renewal, “Keys to Avoiding a Killer Storm,” American Bankruptcy Institute Journal, “Using the Z-Score as a Turnaround Tool,” Journal of Corporate Renewal, “The Dreaded “CEO” Trap,” The ABF Journal, “Gloucester Becomes Unglued – A Case Study of a Restructuring,” Institutional Investor, and “Managed Earnings Attract Increased Scrutiny – Historically Accepted, But Is It Fraud?,” Journal of Corporate Renewal. Favorite projects are usually those we are most successful in. My case is no different. 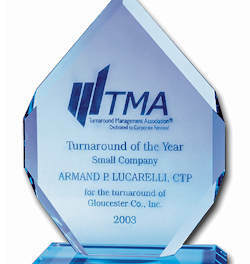 As the Pro Bono consultant to On The Rise, a women’s charity servicing homeless women, we again where recognized by (TMA) and received the Pro Bono Turnaround of the Year award. Our task was simple as the founder was and is an extremely intelligent driven women. It was my pleasure to assist this wonderful charity become more successful through building a strong operational core together with developing good corporate governance. My work usually requires me to parachute into an enterprise with limited resources, low moral, lack of direction, owners in denial, tired and frustrated creditors secured and otherwise, and operational facilities leaving much to be desired. The first 100 days is usually cut to 30 days in which to develop a strategic plan and decisions. Assessing management is critical. Picking the right leaders to join the leadership team that can empower the workforce is essential. What I do for a living cannot be done alone and it usually requires extensive effort from the “C” suite to the loading dock. Leaders are not always in the “C” suite and my experience has shown that middle managers are the glue. Cash constraints require very precise financial planning and in my case models. My experience has shown that it is the ability to create very detailed activity based financial models that depict the enterprises economic activity is the difference between success and failure. The success is not in developing a spreadsheet but in creating a strategic plan that is communicated not only verbally but in the financial numbers used by all parties to make business decisions. It is much easier to communicate over hard numbers than verbal ideology. How I work changes with the nature of the assignment. Some of my assignments involve enterprises that are growing and need counsel and hands on management. Some situations do not require any hands on work as I am the CEOs listener and mentor. The issues they face vary but they all require honest astute options to their problems together with the ability to bring critical resources into play if required. In the majority of the cases my skills as the hands on leader are critical to the enterprises success. In my role as consultant vs interim “C” suite there are times folks do not listen, as I am just a paid consultant, and 95% of the time they fail. It is only 95% because one recent client is still hanging on to life as he has started to make some of the strategic changes I thought essential for them to succeed. While I love what I do balance in my life is important. Being an A personality I am always doing something from Mr. Fix It to my passion for golf. Being an A personality does not always help my golf game. Off work project range from building furniture, faux painting, web site development, gourmet cook (at least our guests think so) that started with a passion of enjoying better wines. Money was tight growing up in a Cops house and the wine he drank was California Burgundy, yup a jug wine. My grandfathers made their own. After leaving college my selections from the local wine retailer left me looking for something better. Today I have a Wine Newsletter that talks about good wine on the market at reasonable prices. A reasonable price for a first growth Bordeaux differs from a California or Oregon Pinot Noir. You will find some wonderful suggestions as the blog populates. As for my passion for the Boston Celtics it is a long story. Being a season ticket holder for almost 40 years with Friday night being date night with my lovely wife Joan they have become part of the family. It is August of 2013 as I write this so the team is undergoing a transformation. We are truly looking forward to see what Danny has up his sleeve and what this team looks like in 12 – 18 months.